The dental exam with the Old Adage ‘Prevention is better than a cure’ is still true today. A general dental exam and clean is important to help prevent both dental decay, gum disease and assess the oral hard and soft tissue for pathology; all are essential for maintaining a healthy smile. The goal of general and preventative dentistry at Skygate Dental is to help you maintain optimal oral health. During the dental exam & check-up the teeth are inspected for any signs of tooth decay or breakdown such as cavities, fractures, trauma, or broken teeth. The gums are also checked; this is called a periodontal analysis. Gum disease is often over-looked and a full assessment of the tissues is needed to determine the risk status. 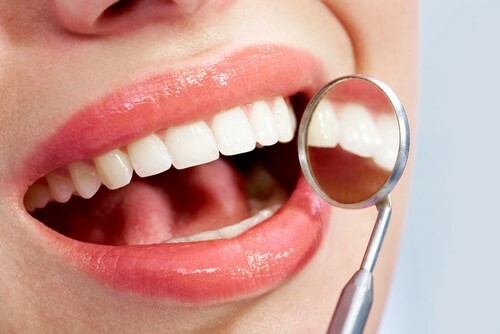 The soft tissues will be checked for any signs of pathology, such as oral cancer. Further, the quality and quantity of the saliva will be assessed to determine if it is within the normal range, important for sufferers of dry-mouth. The hard tissues are also examined, such as the jaw joint or temporomandibular joint (TMJ), for any irregularities. This is proceeded by checking the jaw joint for health, as well as the remaining soft tissue in your mouth for any signs of pathology. After a thorough examination is preformed oral hygiene will be discussed which includes brushing, flossing, diet and care. A treatment plan is then formulated. Each plan is created or tailored to each individual based on their needs and concerns; discussing all the treatment options available and the pros and cons of each option. After each option has been discussed we will be able to create a treatment plan with transparent fee estimates. At Skygate Dental, we take great pride in preventative care. We use the latest technologies such as digital radiographs (x-rays), and intra-oral cameras to diagnosis and monitor risk during your dental exam. Further, based on each individuals needs, we formulate a prevention plan to minimize any risk and health improve oral hygiene. This can be done with remineralizing tooth crémés, stronger toothpastes and oral rinses. These can all help to strengthen your teeth and help to combat any further damage to your mouth. Why Have a Dental Clean? Dental Cleans are important to make sure your gums stay as healthy as possible. Through the use of latest technology the Team at Skygate Dental is able to complete a proper dental exam & clean your teeth; removing all the soft plaque and hard calculus deposits off the surfaces of your teeth. Throughout the clean we will be able to evaluate your brushing and flossing (oral hygiene) to provide help to improve and maintain your healthy smile. After the clean a concentrated fluoride is used to help promote teeth that will be more resistant to decay; by incorporating into the enamel and becoming less likely to breakdown. In some instances after a dental clean the teeth may be sensitive for the short term; this can be effectively minimized and will be discussed by your dentist. If you have any concerns please inquire with our dentists at Skygate Dental Brisbane. How Often Should I Visit Skygate Dental Brisbane? The dentists at Skygate Dental will assess your risk and place you into the appropriate recall and check-up period. In some cases it may be necessary for 3 monthly checks; whereas in others 6 or 12 monthly check-ups maybe all that is necessary. We want to ensure that your teeth and gums stay as healthy as possible to avoid any future dental troubles. For more information or to book your Dental Exam & Clean appointment today.